Investors sent the company’s share price up around 11% in after-hours trading following news of a substantial earnings beat. Facebook generated revenue of $16.9 billion during the holiday quarter, compared to close to $13 billion during the same time a year ago. Net income was $6.9 billion, compared to $4.3 billion in Q4 of 2017. This translates to earnings per share of $2.38. Analysts had expected revenue of $16.4 billion, and earnings per share of $2.19. The Tiffany Network finished #1 Tuesday in prime time with an average 6.643 million viewers. 8P ‘Super Bowl’s Greatest Commercials’ finished #1 broadcast program Tuesday with 7.95 million viewers. 9P ‘NCIS’ rerun finished with an average 6.59 million viewers. 10P ‘FBI’ rerun finished #1 in the time slot with an average 5.39 million viewers. 9P ‘The Curse of Oak Island’ on The History Channel finished #1 cable program Tuesday in prime time with an average 3.555 million viewers. 9P ‘Rachel Maddow’ on MSNBC finished #2 cable program Tuesday in prime time with an average 3.227 million viewers. 9P ‘Hannity’ on FNC finished #3 cable program Tuesday in prime time with an average 2.826 million viewers. 8P ‘WWE Smackdown’ on USA finished #4 cable program Tuesday in prime time with an average 2.137 million viewers. 9P ‘The Haves and Have Nots’ on Oprah finished #5 cable program Tuesday in prime time with an average 1.879 million viewers. Football dominated viewing on television on Sunday. The Daily Diary Of Screens #dailydiaryofscreens 🇺🇸🇬🇧🇦🇺💻📱📺🎬﻿🌎﻿. For Sunday, October 21, 2018. This is your U.S. Daily Television Ratings Platform. In the U.S., NBC #1 broadcast network Sunday in prime time but CBS’ ‘NFL Overrun’ was #1 broadcast program with an average 21.206 million viewers. ‘Halloween‘ topped the domestic box office 19-21 October 2018 weekend. 7P ‘Football Night In America’ finished with an average 6.737 million viewers. 8P ‘SNF Pregame’ finished with an average 11.985 million viewers. 830P ‘Sunday Night Football‘ featuring the Cincinnati Bengals vs Kansas City Chiefs finished #1 in the time slot with an average 15.502 million viewers. 9P ‘Sunday Night Football‘ finished #1 in the time slot with an average 15.702 million viewers. 10P ‘Sunday Night Football‘ finished #1 in the time slot with an average 12.455 million viewers. 7P ‘NFL Overrun’ finished #1 program in prime time Sunday featuring the Dallas Cowboys vs Washington Redskins with an average 21.206 million viewers. 730P ‘60 Minutes‘ finished #1 in the time slot with an average 15.746 million viewers. 8P ‘60 Minutes‘ finished with an average 13.262 million viewers. 830P ‘God Friended Me’ finished with an average 9.729 million viewers. 9P ‘God Friended Me’ finished with an average 8.683 million viewers. 930P ‘NCIS:Los Angeles’ finished with an average 8.293 million viewers. 10P ‘NCIS:Los Angeles’ finished with an average 7.984 million viewers. 1030P’Madam Secretary’ finished with an average 6.451 million viewers. 7P ‘America’s Funniest Home Videos’ finished with an average 5.487 million viewers. 8P ‘Dancing With The Stars Jr’ finished with an average 4.816 million viewers. 9P ‘Shark Tank’ finished with an average 3.955 million viewers. 10P ‘The Alec Baldwin Show’ finished with an average 2.193 million viewers. 7P ‘The Simpsons’ rerun finished with an average 3.360 million viewers. 730P ‘Bob’s Burgers’ rerun finished with an average 2.130 million viewers. 8P ‘The Simpsons’ finished with an average 2.843 million viewers. 830P ‘Bob’s Burgers’ finished with an average 2.653 million viewers. 9P ‘Family Guy’ finished with an average 2.620 million viewers. 930P ‘Rel’ finished with an average 1.488 million viewers. 8P ‘Supergirl’ finished with an average 1.326 million viewers. 9P ‘Charmed’ finished with an average 1.304 million viewers. NBC finished #1 Sunday in prime time with an average 12.599 million viewers. CBS finished with an average 11.419 million viewers. ABC finished with an average 4.113 million viewers. FOX finished with an average 2.516 million viewers. The CW finished with an average 1.315 million viewers. Broadcast network viewership Sunday in prime time finished with 31.962 million viewers. ‘Halloween‘ was #1 at the domestic box office with $77.5 million in 3.925 theaters. ‘A Star Is Born’ finished #2 with $19.3 million viewers. ‘Venom’ finished #3 with $18.1 million viewers. ‘Goosebumps 2’ finished #4 with $9.7 million viewers. ‘First Man’ finished #5 with $8.5 million viewers. Football and baseball dominated viewing on television on Saturday. The Daily Diary Of Screens #dailydiaryofscreens 🇺🇸🇬🇧🇦🇺💻📱📺🎬﻿🌎﻿. For Saturday, October 20, 2018. This is your U.S. Daily Television Ratings Platform. In the U.S., ABC #1 broadcast network Saturday in prime time as ‘Big Ten Football’ featuring Ohio State being defeated by Purdue University was #1 broadcast program with an average 6.126 million viewers. In the U.S., FS1 #1 cable network Saturday in prime time as ‘MLB NLCS Gm #7‘ featuring the Los Angeles Dodgers vs Milwaukee Brewers was #1 cable program. 8P ‘Big Ten Football‘ featuring Ohio State being defeated by Purdue University finished #1 in the time slot with an average 5.688 million viewers. 9P ‘Big Ten Football‘ finished #1 in the time slot with an average 5.725 million viewers. 10P ‘Big Ten Football’ finished #1 broadcast program Saturday in prime time with an average 6.966 million viewers. 8P ‘Michael Jackson Halloween’ finished with an average 2.034 million viewers. 9P ’48 Hours’ rerun finished with an average 1.983 million viewers. 10P ’48 Hours’ (‘Cold Blooded Killer’) finished with an average 3.764 million viewers. 8P ‘Dateline NBC’ finished with an average 3.026 million viewers. 9P ‘Dateline NBC’ finished with an average 3.715 million viewers. 10P ‘Saturday Night Live’ rerun finished with an 2.707 average million viewers. 8P ‘Pac 12 Football’ featuring Oregon vs Washington State finished with an average 1.948 million viewers. 9P ‘Pac 12 Football’ finished with an average 1.590 million viewers. 10P ‘Pac 12 Football’ finished with an average 1.866 million viewers. 8P ‘MLB NCLS Gm#7’ featuring the Los Angeles Dodgers vs Milwaukee Brewers was the #1 cable program Saturday in prime time. ABC finished #1 broadcast network Saturday in prime time with an average 6.126 million viewers. NBC finished with an average 3.149 million viewers. CBS finished with an average 2.594 million viewers. FOX finished with an average 1.735 million viewers. Broadcast network viewership Saturday in prime time finished with 13.604 million viewers. Drama and baseball dominated viewing on television on Friday. The Daily Diary Of Screens #dailydiaryofscreens 🇺🇸🇬🇧🇦🇺💻📱📺🎬﻿🌎﻿. For Friday, October 19, 2018. This is your U.S. Daily Television Ratings Platform. 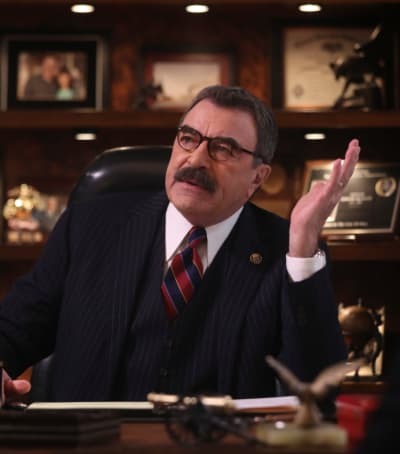 In the U.S., CBS #1 broadcast network Friday in prime time as ‘Blue Bloods’ was #1 broadcast program with an average 8.343 million viewers. In the U.S., FS1 #1 cable network Friday in prime time as ‘MLB NLCS Gm #6‘ featuring the Los Angeles Dodgers vs Milwaukee Brewers as the Brewers won 7-2 was #1 cable program. CBS’ ‘Blue Bloods’ top broadcast program on Friday 101918. 8P ‘MacGyver‘ finished #1 last half hour of the time slot with an average 6.094 million viewers. 9P ‘Hawaii Five-0‘ finished #1 in the time slot with an average 7.331 million viewers. 10P ‘Blue Bloods‘ finished #1 broadcast program Friday 101918 with an average 8.343 million viewers. 8P ‘Last Man Standing‘ finished #1 in the time slot with an average 6.201 million viewers. 830P ‘The Cool Kids’ finished with an average 4.575 million viewers. 9P ‘Hell’s Kitchen’ finished with an average 2.632 million viewers. 8P ‘Blindspot’ finished with an average 2.546 million viewers. 9P ‘Dateline NBC’ finished with an average 3.706 million viewers. 10P ‘Dateline NBC’ finished with an average 3.818 million viewers. 8P ‘Fresh Off The Boat’ finished with an average 3.022 million viewers. 830P ‘Speechless’ finished with an average 2.427 million viewers. 9P ‘Child Support’ finished with an average 1.939 million viewers. 10P ’20/20′ finished with an average 2.852 million viewers. 8P ‘Dynasty’ finished with an average 652,000 viewers. 9P ‘Crazy Ex-Girlfriend’ finished with an average 420,000 viewers. 8P ‘MLB NCLS’ Game #6 featuring the Milwaukee Brewers victory over the Los Angeles Dodgers 7-2 in Milwaukee was the #1 Cable program Friday 101918. CBS finished #1 broadcast network Friday in prime time with an average 7.256 million viewers. FOX finished with an average 4.010 million viewers. NBC finished with an average 3.357 million viewers. ABC finished with an average 2.505 million viewers. The CW finished with an average 536,000 viewers. Broadcast network viewership Thursday in prime time finished with 22.770 million viewers, DOWN -569,000 viewers (-2.4%) vs 23.339 million viewers SD 2017. CBS’ prime time is reaching an average 8.95 million viewers which is projected to 9.06 million live Plus 7 days viewing. CBS’ daytime is dominant with an average 3.92 million viewers and in Women 25-54, it was the leader. CBS’ late night is the leader, as ‘The Late Show’ has an average 3.85 million viewers. Along with ‘The Late Late Show’, CBS has an average 2.61 million viewers to lead late night. For the record, Radio earns a listenership of 1 hour and 25 minutes per day; Magazines earn 15 minutes per day and Newspapers receive 11 minutes per day. Last night, CBS earned an average viewership of 7.256 million viewers (Source:Nielsen). This was nearly 3.2 million more than their closest challenger. It won 5 of the six half hours in prime time, something it has done for nearly a decade. That is dominant. It is all about eyeballs. And, local affiliates are as strong as their network lead-in. Besides winning every half-hour of prime time last night, it led into their affiliates newscasts at 11P (EDT) with over a million viewer lead. You are a retailer. Where would you invest your dollars to reach your buying audience? It’s where the eyeballs are. Comedy and baseball dominated viewing on television on Thursday. The Daily Diary Of Screens #dailydiaryofscreens 🇺🇸🇬🇧🇦🇺💻📱📺🎬﻿🌎﻿. For Thursday, October 18, 2018. This is your U.S. Daily Television Ratings Platform. In the U.S., CBS #1 broadcast network Thursday in prime time as ‘The Big Bang Theory’ was #1 broadcast program with an average 11.995 million viewers. In the U.S., TBS #1 cable network Thursday in prime time as ‘MLB ALCS Gm #5‘ featuring the Boston Red Sox vs Houston Astros as the Red Sox won the MLB ALCS was #1 cable program with an average 6.523 million viewers. In the U.S., UNI #1 Hispanic network Thursday in prime time but TEL’s ‘La Rosa de Guadalupe‘ was the #1 cable program with an average 1.367 million viewers. 8P ‘The Big Bang Theory’ (‘The Planetarium Collision’) finished #1 broadcast program Thursday in prime time with an average 11.995 million viewers. 830P ‘Young Sheldon‘ finished #1 in the time slot with an average 10.829 million viewers. 9P ‘Mom‘ finished #1 in the time slot with an average 8.192 million viewers. 930P ‘Murphy Brown’ finished with an average 6.488 million viewers. 10P ‘SWAT’ finished with an average 5.512 million viewers. 8P ‘Thursday Night Football’ finished with an average 6.809 million viewers. 9P ‘Thursday Night Football’ finished with an average 7.308 million viewers. 10P ‘Thursday Night Football‘ finished #1 in the time slot with an average 5.649 million viewers. 8P ‘It’s The Great Pumpkin Charlie Brown’ finished with an average 4.522 million viewers. 830P ‘Toy Story of TERROR’ finished with an average 3.269 million viewers. 9P ‘Station 19’ finished with an average 4.137 million viewers. 10P ‘How To Get Away With Murder’ finished with an average 2.749 million viewers. 8P ‘Superstore’ finished with an average 3.219 million viewers. 830P ‘The Good Place’ finished with an average 2.801 million viewers. 9P ‘Will & Grace’ finished with an average 3.333 million viewers. 930P ‘I Feel Bad’ finished with an average 2.253 million viewers. 10P ‘Law & Order:SVU’ finished with an average 3.960 million viewers. 8P ‘Supernatural’ finished with an average 1.508 million viewers. 9P ‘Charmed’ rerun finished with an average 982,000 viewers. 8P ‘MLB ALCS’ featuring the Boston Red Sox league championship victory over the Houston Astros was the #1 cable program with an average 6.523 million viewers..
1135P CBS’ ‘The Late Show with Stephen Colbert’ #1 late night program Thursday 101818 with an average 2.8/7. 1135P ABC’s ‘Jimmy Kimmel Live’ finished with a 1.7/4. 1135P NBC’s ‘The Tonight Show Starring Jimmy Fallon’ rerun finished with a 1.5/4. 1235A CBS’ ‘The Late Late Show with James Corden’ finished tied #1 program late late night Thursday 101818 with an average 1.2/5. 1235A ABC’s ‘Nightline’ finished tied #1 program late late night Thursday 101818 with an average 1.2/4. 1235A NBC’s ‘Late Night with Seth Meyers’ rerun finished with an average 0.9/3. CBS finished #1 broadcast network in prime time Thursday 101818 with an average 8.088 million viewers, DOWN -15.0% vs SD 2017. FOX finished with an average 6.589 million viewers, UP +168.4% vs SD 2017. TBS finished #1 cable network in prime time Thursday with an average 6.523 million viewers. ABC finished with an average 3.594 million viewers, DOWN -20.8% vs SD 2017. NBC finished with an average 3.254 million viewers, DOWN -37.1% vs SD 2017. FNC finished with an average 3.206 million viewers. MSNBC finished with an average 1.980 million viewers. NFL finished with an average 1.603 million viewers. TNT finished with an average 1.555 million viewers. TEL finished with an average 1.301 million viewers. The CW finished with an average 1.245 million viewers, DOWN -2.7% vs SD 2017. UNI finished with an average 1.143 million viewers. CNN finished with an average 924,000 viewers. For the record, Radio earns a listenership of 1 hour and 25 minutes per day; Magazines earl 15 minutes per day and Newspapers receive 11 minutes per day. Last night, CBS earned an average viewership of 8.088 million viewers (Source:Nielsen). This was nearly 1.5 million more than their closest challenger. And it was against ‘Thursday Night Football’ on FOX. Drama and baseball dominated viewing on television on Wednesday. The Daily Diary Of Screens #dailydiaryofscreens 🇺🇸🇬🇧🇦🇺💻📱📺🎬﻿🌎﻿. For Wednesday, October 17, 2018. This is your U.S. Daily Television Ratings Platform. In the U.S., NBC #1 broadcast network Wednesday in prime time as Chicago Fire‘ was #1 broadcast program with an average 7.863 million viewers. In the U.S., FS1 #1 cable network Wednesday in prime time as ‘MLB ALCS‘ featuring the Boston Red Sox vs Houston Astros was #1 cable program with an average 6.181 million viewers.. In the U.S., TEL #1 Hispanic network Wednesday in prime time as ‘Exatlón‘ was the #1 Hispanic program with an average 1.458 million viewers. 8P ‘Chicago Med‘ finished with an average 7.638 million viewers. 9P ‘Chicago Fire’ finished with an average 7.863 million viewers. 10P ‘Chicago PD’ finished with an average 7.023 million viewers. 8P ‘Survivor’ finished with an average 7.275 million viewers. 9P ‘Seal Team’ finished with an average 5.533 million viewers. 10P ‘Criminal Minds’ finished with an average 4.528 million viewers. 8P ‘The Goldbergs’ finished with an average 4.886 million viewers. 830P ‘American Housewife’ finished with an average 4.177 million viewers. 9P ‘Modern Family’ finished with an average 4.988 million viewers. 930P ‘Single Parents’ finished with an average 3.534 million viewers. 10P ” finished with an average 3.339 million viewers. 8P ‘Empire’ finished with an average 5.188 million viewers. 9P ‘Star’ finished with an average 3.844 million viewers. 8P ‘Riverdale’ finished with an average 1.266 million viewers. 9P ‘All American’ finished with an average 637,000 viewers. TBS ‘MLB ALCS’ featuring the Boston Red Sox v Houston Astros finished as the #1 cable program Wednesday 101718 with an average 6.181 million viewers..
8P ‘Exatlón’ #1 Hispanic program Wednesday in prime time with an average 1.458 million viewers. NBC finished #1 broadcast network Wednesday 101718 in prime time with an average 7.508 million viewers, UP +35.8% vs SD 2017. CBS finished with an average 5.777 million viewers, DOWN -17.2% vs SD 2017. TBS finished #1 cable network Wednesday 101718 in prime time with an average 5.336 million viewers. FOX finished with an average 4.516 million viewers, DOWN -8.6% vs SD 2017. ABC finished with an average 3.377 million viewers, DOWN -18.7% vs SD 2017. FNC finished with an average 3.197 million viewers. FS1 finished with an average 2.595 million viewers. MSNBC finished with an average 1.892 million viewers. ESPN finished with an average 1.512 million viewers. TEL finished #1 Hispanic network Wednesday 101718 in prime time with an average 1.412 million viewers. UNI finished with an average 1.168 million viewers. CNN finished with an average 954,000 million viewers. The CW finished with an average 951,500 viewers, DOWN -30.9% vs SD 2017. Broadcast network viewership Wednesday in prime time finished with 22.130 million viewers, DOWN -1.672 million viewers (-7.6%) vs 23.802 million viewers SD 2017. Last night, CBS earned an average viewership of 9.481 million viewers (Source:Nielsen). This was clearly 1.4 million more than their closest challenger.